BBQ Turkey Cheddar Sliders are SO delicious! 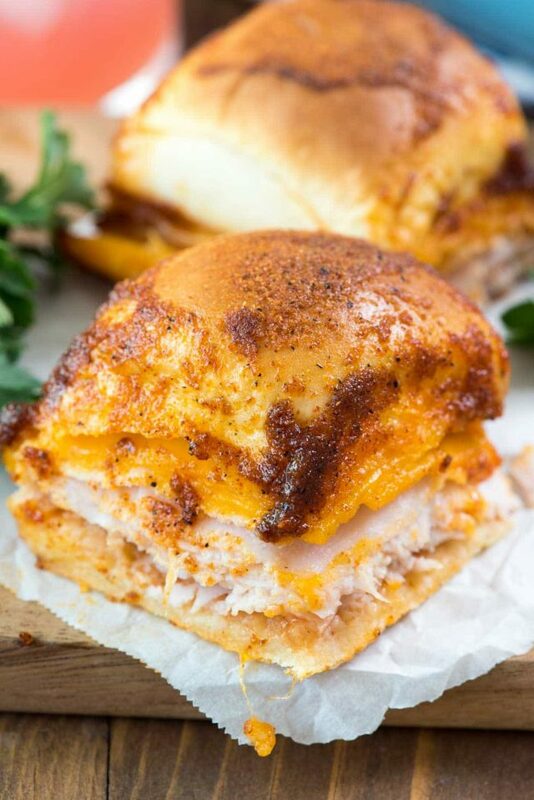 This easy sliders recipe is full of turkey, cheese, and barbecue flavoring! The topping on these BBQ turkey cheddar sliders tastes JUST like a BBQ chip, and this is the perfect recipe for a party. EVERYONE loves sliders! You guys, I am absolutely giddy. By the time you read this I’ll be in the air flying to Canada to see Holly. Jordan is coming with me, because she and Holly’s daughter are friends online too. It’ll be Jordan’s first ever passport stamp! I am excited to experience international travel with her, especially the minor differences in culture, shopping, food, and money. In fact, one of the days Holly and I plan to just go to the grocery store and shop. I am bringing the largest suitcase I own so I can bring back all the Canada candy and Cheezies. Last time I went to Canada, it was Mel and I, and we went to Vancouver. This was just a few years ago; he was working and I went with him for the weekend. I’ll never forget on the first night I was buying candy (what else?) and he handed me Canadian money to pay with. I just held the money as the girl told me the total, blank faced, confused. I still don’t know that the different coins are, but I’m going to do some research today. And then give my credit card a workout, ha! Something super fun about our visit is that we will be there for Canada Day, which is Canada’s 4th of July. So we get to experience their fireworks and fun country celebrations and then fly home the next day to get ready for our July 4th party! 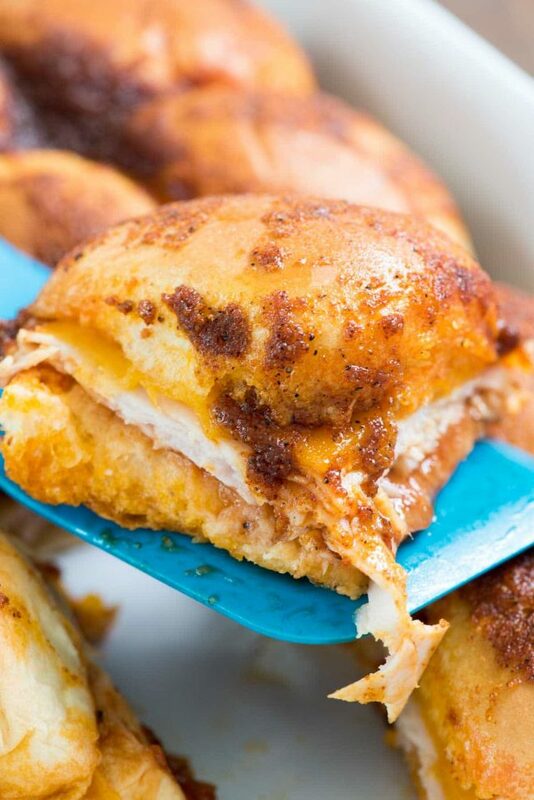 Speaking of parties, these BBQ turkey cheddar sliders make an appearance at every single one. EVERYONE loves sliders, no matter what the flavor! I have a huge weakness for sandwiches, sliders in particular, especially if they’re made with King’s Hawaiian bread. This post isn’t sponsored by them, but I absolutely love the rolls so much. If left to my own devices, I can eat an entire 12-pack on my own…in one day. That’s why I rarely buy them, except for holidays, or when I’m making sliders and doing something with the whole package (like making a trifle). I remember when I was living in Arizona there was this grocery chain…Bashas, I think. They used to have a $10 meal deal with a rotisserie chicken, 2 sides, and a 4-pack of the King’s Hawaiian rolls. Mel would give me all 4, ha! I’d finish the package, but at least it was 4 and not 12! Some of the most popular dishes at any potluck are sliders. My friend Averie has a ham and cheese slider that is a huge hit every time it appears. My favorite deli meat is turkey, so I decided to go with turkey and cheese…and BBQ flavor. I am obsessed with BBQ chips (another thing I can’t buy or I eat an entire bag) and these BBQ turkey cheddar sliders have a coating that tastes JUST like them! After you slather on the sauce, you layer deli turkey meat and cheddar cheese. I just think cheddar goes so well with BBQ flavor, but you could also use Jack or Pepper Jack, or any kind you like. Then, before you bake them to melty goodness, you mix up some melted butter with all the spices you need to make a BBQ chip seasoning. The secret ingredient: smoked paprika and brown sugar. Pour it all over the rolls, then bake. BBQ Turkey Cheddar Sliders - this easy slider recipe is full of turkey, cheese, and barbecue flavoring! The topping tastes JUST like a BBQ chip! Spray a 9x13” baking dish with nonstick cooking spray. 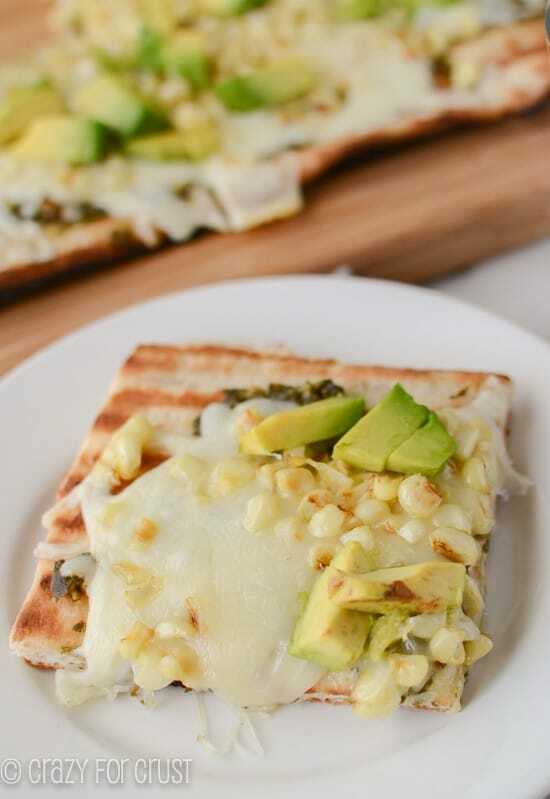 Preheat oven to 350°F, or if you’re using a grill, use a disposable pan and preheat it to about the same temperature. Slice rolls in half (leave them connected if they are connected in the package). 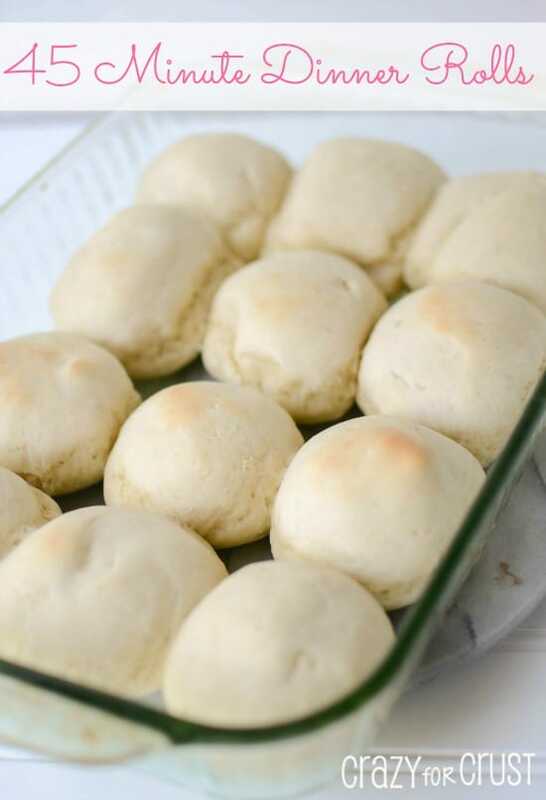 Place the bottom of the rolls in the pan. Spread with barbecue sauce, then layer with turkey and shredded cheese. Place the top half of the rolls on top. Stir together butter and spices, then pour over the top of the sandwiches. Bake or grill until the cheese is melty and the sandwiches are golden brown, about 15 minutes. Serve warm. Nothing better than King’s Hawaiian bread! I am not even a bread person but I am a bread person for THAT bread! The cheese in your sliders, and the brown sugar! with the paprika, I bet it’s heavenly and probably smelled so good baking! Thanks for the linky love shoutout 🙂 and have the most amazing time with Holly and K! I know you guys will be laughing (and drinking wine) and I wish I was going to be there! I was born in Canada and moved down to the States. Now my two girls married brothers from Canada and are living up there so, needless to say, I love Canada and I especially love Canadian candy!!! We always have to load up and when stopped at the border, we tell them we bought candy. Enjoy your trip! Is it sliced or shredded cheese? You mention both. Thank you. I love how you pour the butter and spices over the top. I am gonna have to use that technique. I love Bashas!!! I have to check next time we are in AZ to see if they still have that chicken special. Where in AZ did you live? We spend the winters in Lake Havasu City which we love. We are from Minneapolis and I swear 1/3 of the residents are from Minnesota so we feel right at home. Recipe looks awesome!! These sliders were awesome. I kicked it up a bit by using Tajun seasoning instead of chili powder. Thanks for the great pre fireworks shopping lunch. That’s an event at our house! Reading this is making my mouth water! I’m gonna make these asap! Yummy for my tummy! 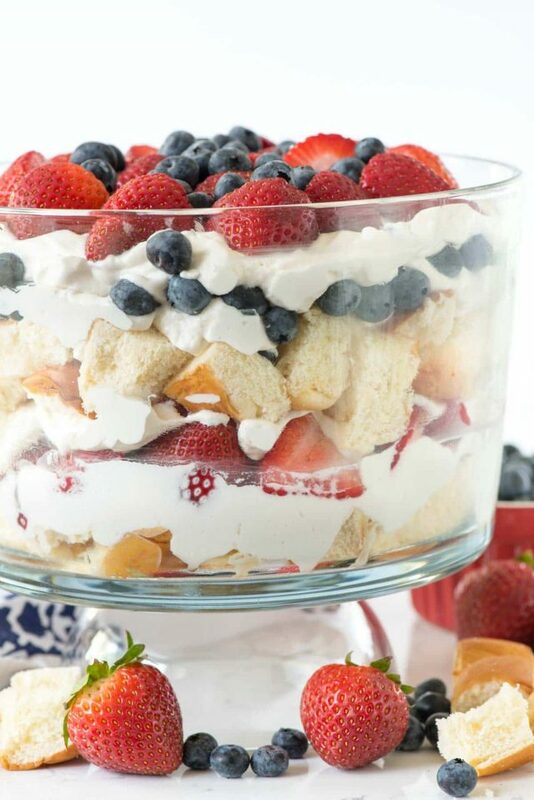 This was a hit at my baby shower, made it exactly as stated in the recipe. I am now going to make them for dinner (a week later) because I’ve been! craving them since my baby shower lol!